Under the unique instructions on the box, the company wrote, "We did." Reynolds also included a photo of his deliveryman, and he definitely looks like the baddest b--ch we know. Unsurprisingly, people found the whole thing hilarious. He added, "The reactions have mostly been 'd--n, lamb chops on a white boy' and 'what's his @' and all my friends amazed that it blew up." Reynolds has yet to hear from Domino's official Twitter account, though he's certainly tried to get their attention. 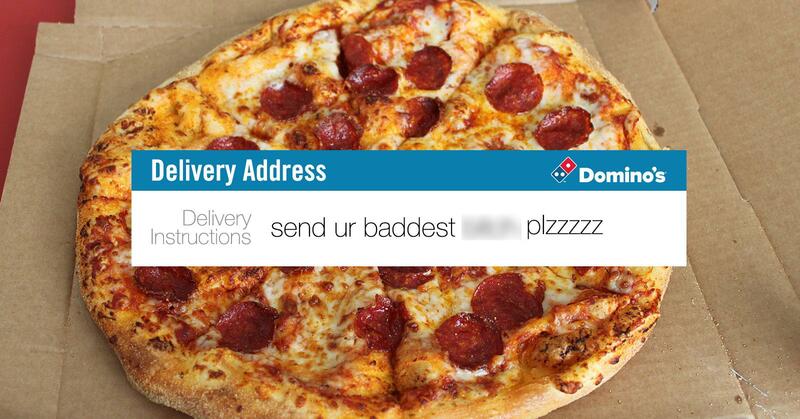 "@dominos where's my free pizza for all this free advertisement," he wrote in one tweet. But he may have made a mistake by insulting the chain in a follow-up post. "Honestly whoever runs dominos twitter is really bad at their job," he said. "Dominos social media str8 [straight] not capitalizing on FREE content." All in all, Reynolds' tweet has raked up nearly 128,000 retweets and over 337,000 likes, so if Domino's hasn't seen it yet, they're bound to come across it soon.